Lung Disease – Will E-Cigarettes Be the Next Popcorn Lung? Electronic cigarettes, commonly known as e-cigarettes, E-Hookahs, Mods, Tank Systems, and Vape Pens, are electronic nicotine delivery systems (ENDS) that deliver nicotine, flavorings, and other chemicals through vapor rather than tobacco smoke. Instead of delivering nicotine by burning tobacco, e-cigarettes provide it to users in the form of water vapor. In many e-cigarettes, puffing activates the battery-powered heating device, which vaporizes the liquid in the cartridge. The resulting aerosol or vapor is then inhaled, a practice known as vaping. E-cigarettes are being marketed as an alternative to traditional cigarettes, and according to the Centers for Disease Control and Prevention (CDC), use among middle and high school students tripled from 2013 to 2014. More than 250 different brands of e-cigarettes are currently on the market. The Monitoring the Future survey out of the University of Michigan, which tracks substance abuse by young people, found that this specific spike in teen vaping from 2017 to 2018 is the biggest one-year spike in the past 44 years of the survey’s history. To put this teen nicotine vaping increase into context, this is the largest out of more than one thousand reported year-to-year changes since 1975 for use of substances among 12th graders. Richard Miech, the individual in charge of leading the study, said that the policies to prevent youth vaping clearly haven’t worked and due to the fact that the e-cigarette industry is quickly evolving, we need to think about and create vaping-specific strategies to keep these devices out of the hands of young people. The use of e-cigarettes, including vape pens, e-hookah, e-cigars, and other nicotine delivery systems (NDS) has increased greatly worldwide in recent years. In the U.S., e-cigarettes were the most commonly used product among middle (5.3%) and high (16.0%) school students, according to statistics compiled by the Centers for Disease Control and Prevention (CDC). The devices are extremely popular with teenagers, increasing in use by 900 percent among U.S. high school students, according to a December 2016 report compiled by the U.S. Surgeon General Vivek Murthy. During 2011 and 2015, significant increases were observed among middle and high school students for current use of e-cigarettes and hookahs, while decreases were observed for current use of conventional tobacco products, such as cigarettes and cigars, resulting in no change in overall tobacco use. Although the FDA was given the power to regulate the manufacturing, labeling, distribution, and marketing of all tobacco products in 2009 with the passage of the Family Smoking Prevention and Tobacco Control Act and a 2010 court ruled that the FDA could regulate e-cigarettes as tobacco products. It wasn’t until 2016 that the FDA finally announced a rule to regulate e-cigarettes, banning the sale of the devices to anyone under the age of 18. There are currently no e-cigarette lawsuits for diacetyl exposure, but TruLaw continues to monitor the regulation of these toxic chemicals in e-cigarettes and whether the manufacturers disclose these risks to users. There is little research currently available on the potential adverse health effects associated with inhaling the flavorings in e-liquids, but attention is now turning to the damage that the diacetyl used to flavor e-cigarettes is doing to consumers, particularly younger ones who may be more susceptible to toxic exposure. 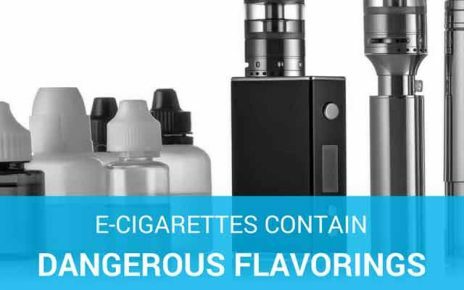 There are currently no requirements for manufacturers to indicate whether e-liquids contain diacetyl or acetyl propionyl (AP), and the only requirement is that the electronic nicotine delivery system (ENDS) products must contain a nicotine warning statement. There also are no applicable standards for the composition of e­liquids, including no governmental recommendations or restrictions on diacetyl levels in e­liquids. While not all e-cigarettes contain nicotine, they often include harmful ingredients like diacetyl; a chemical flavoring that has been connected with a serious lung disease in workers exposed to the chemical. Bronchiolitis obliterans, or popcorn lung, has been tied to the inhalation of diacetyl by workers in plants that use diacetyl as a flavoring additive to their products. Products known to use diacetyl include popcorn, coffee, pet food, and tortillas. 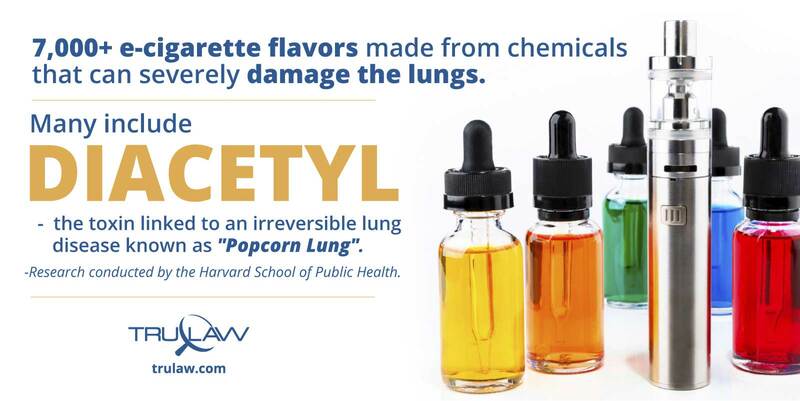 Diacetyl, a flavoring chemical linked to cases of severe respiratory disease referred to as “popcorn lung” was found in more than 75% of flavored electronic cigarettes, according to a Harvard Chan School of Public Health study. Popcorn lung, technically called bronchiolitis obliterans, first appeared in workers who inhaled the artificial butter flavor in microwave popcorn processing facilities. Later, studies and lawsuits showed that popcorn lung diagnoses were also made on workers in other manufacturing facilities that also use diacetyl, such as coffee bean processing plants, tortilla factories, pet food manufacturers and other facilities that heated the dangerous chemical diacetyl. Individuals diagnosed with popcorn lung inhaled the fumes coming from diacetyl. More research is needed to determine how the heating mechanism in e-cigarettes heats the flavored e-juice, a large percentage of which contains diacetyl. It is not yet known to what extent this dangerous liquid will affect the lungs from vaping and whether e-cigarette smokers will be diagnosed with popcorn lung as a result of the inhalation of diacetyl. Unfortunately, the popularity of vaping is relatively new and these studies will take time, and in the meantime, the very vocal vaping community will continue to dispel any connection between popcorn lung and e-cigarettes. Until studies are complete, the e-cigarette makers will still be allowed to use diacetyl for flavoring in the e-juice without warning the public and it is up to consumers to decide if this is a risk worth taking. October 12, 2018 – A University of Athens doctor released a new study which took a much-needed look at the chemical and flavoring additives used in today’s e-liquids. Dr. Andreas Papapetropoulos found that even short-term use of e-cigarettes can cause inflammation in the lungs, and in some instances, the damage may be worse than conventional cigarettes. Along with diacetyl, propylene glycol is an additive to watch for. It is not completely harmless and is found in almost all e-liquids on the market. This study helps support the fact that food additives were never meant to be inhaled. E-cigarettes use battery power to turn liquid nicotine into an inhalable vapor that was first touted as safer for current smokers, although there is no scientific consensus on the risks or advantages of vaping, including how it might affect the likelihood that someone will start using conventional tobacco products or be able to stop smoking. Federal figures made public the same day as the Surgeon General’s announcement showed that in 2015, 16 percent of high school students reported at least some use of e-cigarettes, even those who had never smoked a traditional cigarette. According to the report, e-cigarette use is higher among high school students than adults. A 2016 study conducted by the University of Southern California and published in the journal Pediatrics came to a sobering conclusion: older teens who try electronic cigarettes (e-cigarettes) are six times more likely to try combustible cigarettes within two years, compared to those who have never used the devices. The study involved about 300 southern California high school students, about half of who said they had at least tried an e-cigarette in 2014. In a follow-up survey conducted in 2015, about 40 percent of those who had tried e-cigarettes the previous year had moved on to traditional cigarettes, compared with 11 percent who said they had not tried e-cigarettes in the 2014 survey. The survey participants included 11th and 12th-grade students who were at least 18 years old by the time of the second survey. Recent research conducted at the Harvard School of Public Health concluded that many of the more than 7,000 e-cigarette flavorings that make vaping so appealing to young people are made using chemicals that can severely damage the lungs. Most common among these flavorings was diacetyl, which was detected above the laboratory limit of detection in 39 of the 51 unique flavors tested by the team. At least one flavoring chemical was detected in 47 of the 51 flavors tested. 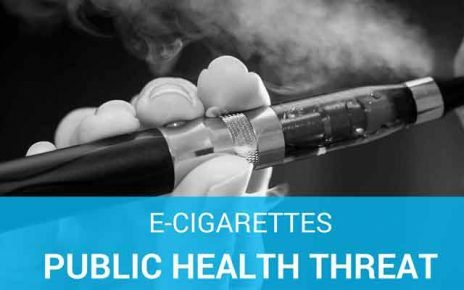 December 18, 2018 – US Surgeon General Jerome Adams has issued a rare, but necessary, public health advisory warning Americans of the dangers e-cigarettes pose to kids and teens. He points to the JUUL in particular and calls for fresh measures to halt their rising popularity. 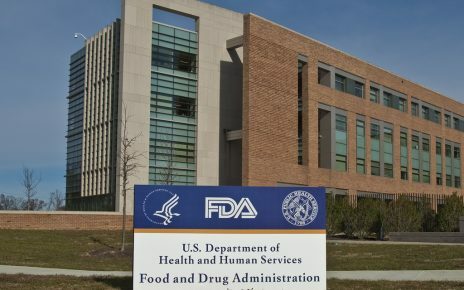 In 2016, the FDA finalized a rule extending the agency’s regulatory authority to cover all tobacco products, including vaporizers, vape pens, hookah pens, electronic cigarettes, e-pipes, and other electronic nicotine delivery systems (ENDS), banning sales of the devices to anyone under age 18. 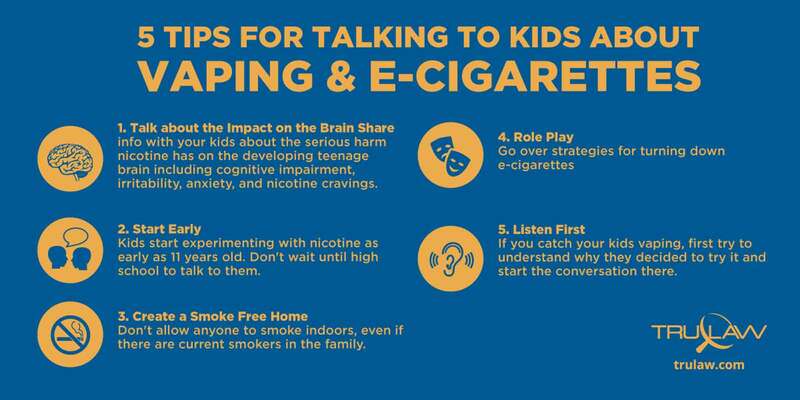 This followed a 2015 recommendation by the American Academy of Pediatrics that ENDS be regulated as tobacco products because of concerns that use of the devices would lead teens to smoke traditional cigarettes and expose their developing brains to nicotine. E-cigarettes deliver nicotine to the bloodstream at levels comparable to traditional cigarettes, but they also introduce a few additional substances that conventional cigarettes do not. In a report made public December 8th, the U.S. Surgeon General Vivek Murthy said the growing use of electronic cigarettes has the potential to “create a whole new generation of kids who are addicted to nicotine.” He also notes that e-cigarettes include harmful ingredients like diacetyl, the flavorant linked to serious lung diseases. Although Murthy said more research is needed focusing on the effects of e-cigarettes, he called vaping an “emerging public health threat” for young people, adding that they are not harmless and too many adolescents are using them. Will Trump Presidency Spell Big Changes for the FDA? Will The Trump Administration Turn Back Federal Vaping Laws?